Researchers at The Australian National University (ANU) examined the Earth system as a single complex system and assessed the impact of human activities on the system’s trajectory. They have for the first time come up with a mathematical equation - known as the Anthropocene equation - to describe the impact of human activity on the Earth system. “Over the past 7,000 years the primary forces driving change have been astronomical - changes in solar intensity and subtle changes in orbital parameters, along with a few volcanoes,” said Will Steffen ANU. “They have driven a rate of change of 0.01 degrees Celsius per century,” said Steffen. 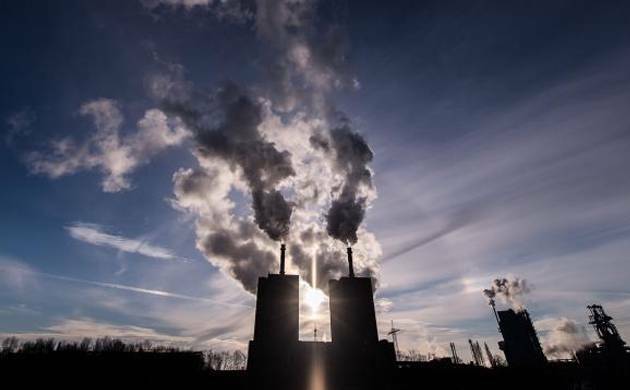 “Human-caused greenhouse gas emissions over the past 45 years have increased the rate of temperature rise to 1.7 degrees Celsius per century, dwarfing the natural background rate,” Steffen added. “We are not saying the astronomical forces of our solar system or geological processes have disappeared, but in terms of their impact in such a short period of time they are now negligible compared with our own influence,” he said. “Crystallising this evidence in the form of a simple equation gives the current situation a clarity that the wealth of data often dilutes,” he added. Steffen said humanity still had a chance to prevent catastrophic climate change, but time was rapidly running out. “The global economy can function equally well with zero emissions. Research shows we can feed nine billion people - the projected world population by 2050 - and reduce greenhouse gas emissions at the same time,” he said. The study was published in the journal The Anthropocene Review.